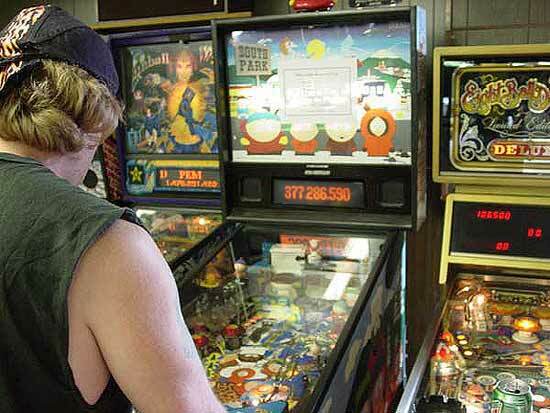 On Saturday, December 20th - 2003, The Twin Cities Flipper Pin Association had its first official pinball tournaments. 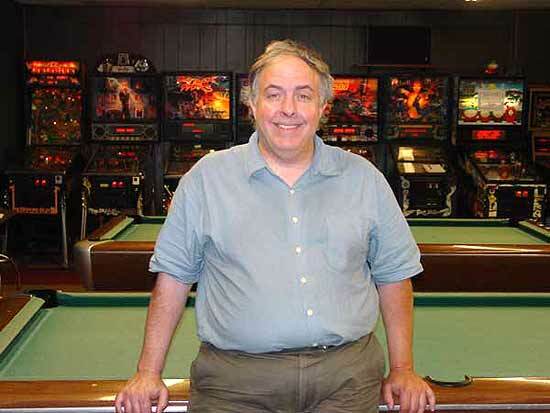 As in December of 2003, In August of 2004 we had three pinball events at the same time. Last December, we had: a double elimination tournament, a high score tournament, and a high score shootout. With all of the things that went on, SS Billiards (AKA: Lloyd's) was busy that night, but it was not too busy for people to enjoy themselves. They enjoyed the night so much that they asked me when I was going to run another tournament. 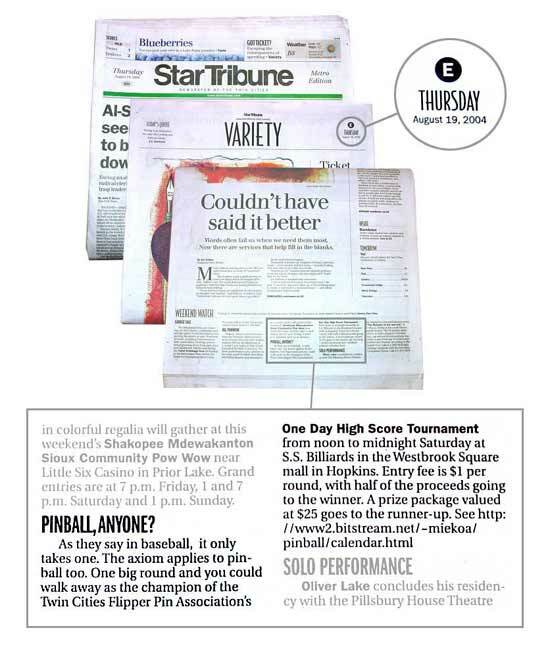 So the TCFPA mid-year high score tournament was born. The mid-year high score tournament was tentatively planed for July of 2004 but due to scheduling conflicts, we had to wait until August. To keep everyone busy and provide enough fun for everyone, I decided to have a one day high score tournament along side normal league play and Lloyd's ToPS tournament. As with last year's big tournaments, I had to get prizes for the winners. Though I had a few prizes left over from last year's events, I didn't have enough for what I was planning. I asked several people in the industry for help. Most, including Stern, ignored me. The following people helped me with prizes. My favorite editor, Martin, of "Pinball News", donated flyers and plastics. Kevin Ketchum, of "K & K Amusement - Classic Arcade", donated cool "Zoo"
Jim Schelberg, of "Pin Game Journal", donated flyers and plastics. Though the events were all open to the public, Lloyd, of "SS Billiards", hosted us. In doing so, he risked alienating some of his regular customers. "Pinball Renaissance - TCFPA" sponsored some high score attempts. 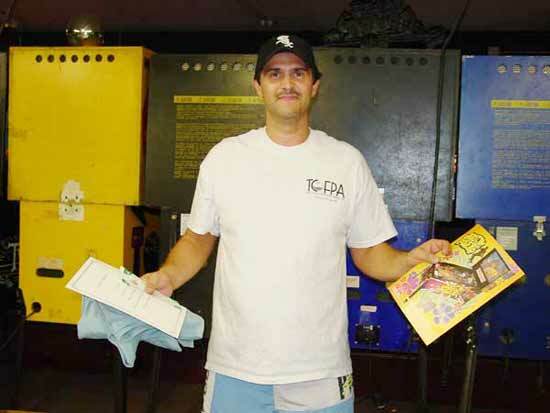 With prize packages at the ready, on Saturday, August 21st - 2004, the TCFPA had a one day high score tournament alongside its normal league. 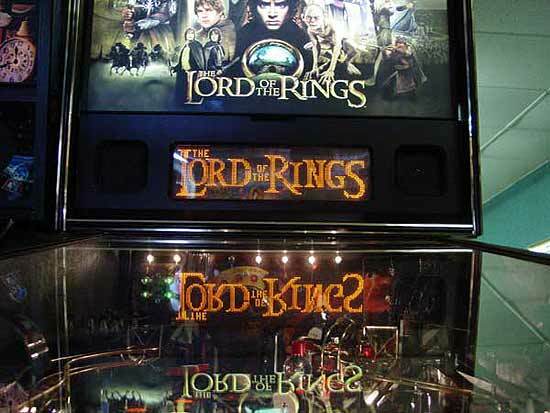 On top of that and just for the TCFPA, Lloyd ran a one day high score tournament on his ToPS game, "Lord of the Rings". The TCFPA league started at 7:00 PM and was the first event to finish. The randomly chosen games were: "Addams Family", "Tales from the Crypt", and "Demolition Man". Eight regular members and, due to a blurb in in the local major metropolitan newspaper, two new people signed up for league. Terry W had a very good start. He earned the maximum of ten points, for each of his two rounds, on "Demo Man". Even with a twenty-point start, Terry knew that "Tales" was not his strongest game. So, he wanted to be the mathematical winner by the points he earned on the other two games. After a heated battle between Terry W and Dave G, Dave won by just two little points. Dave had an incredible total of 48 out of the 60 points possible. I guess that Dave proved it's better to do consistently well, rather than to earn the highest points on a few games. Dave's pinball prize package included a certificate from the TCFPA. He chose a fast food gift certificate from "Wendy's". And, he chose an "Austin Powers" flyer. For this special event only, Dave got first pick of pinball T-shirts. He chose an autographed "PLD" T-shirt. The high score tournament was held on "South Park" and was the next event to finish. Registration and competition on this pin started at 12:00 PM and was continuous through 12:00 AM. Terry C put up the highest score within the first two hours. He scored an unbeatable 377,286,590 points. As high score winner, Terry took home $28.00. This was half of the registration fees. Terry also got a TCFPA certificate. He chose a "Godzilla" translight that came with a "Godzilla" flyer. And, he picked a red "Pinball at the Zoo" T-shirt. Mike came in second place with a respectable 161,444,560 points. Mike earned a set of "Attack from Mars "and "Revenge from Mars" flyers. To go with the flyers, he got a complete "Attack from Mars" plastic set with a PGJ plastic. Mike chose a "Pinball at the Zoo" T-shirt, but his was white. Like the TCFPA high score tournament, Lloyd's one-day ToPS tournament on "Lord of the Rings" also ran from noon till midnight. This was the last event of the night. When this event finished, Terry W took honors and $14.00 for winning 1st place. Terry C cleaned up. He "bumped n' won": 2nd, 3rd, and 5th places. He took home most of the jackpot with his winnings of $15.75. I, the humble TCFPA president, placed 4th and took home my "fin and two bits". After all was said and done, Lloyd asked me how I thought the day went. I told him that I was exhausted. Then Lloyd reminded me that I didn't even show up until quarter to noon and that I had an hour-long dinner break. Feel free to email me if you have any question or specifically if you want to know about running your own pinball league or tournament. 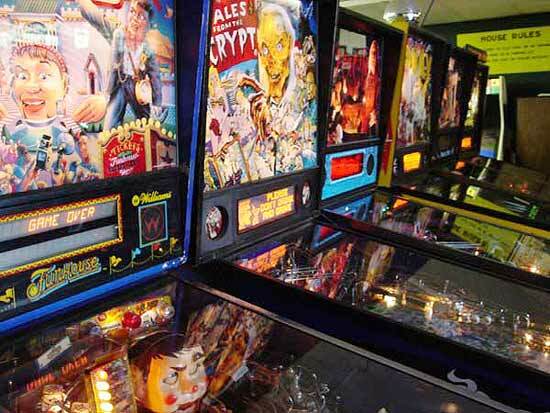 Please, make sure that you have some pinball reference in the subject line or I won't open the email. 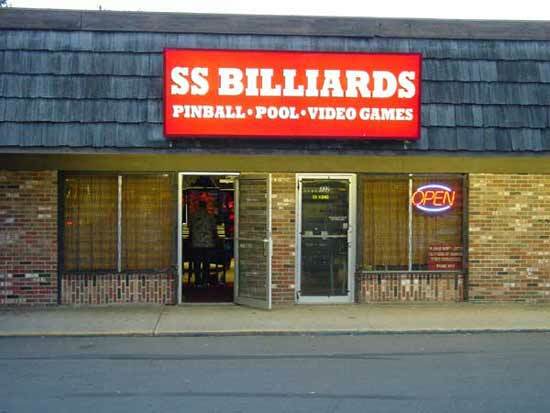 For information on SS Billiards* visit: http://www.ssbilliards.com/. * The TCFPA is not directly associated with S.S. Billiards. "All we need is one good ball."